Ranveer Singh and Deepika Padukone are now a poster couple for ‘happily ever after’. Does this mean these two, who always appear head over heels in love with each other, never had to struggle in their relationship? Ranveer answered this question in his recent interview and said that even they had to face their share of a difficult phase in the relationship but the love never went out. Ranveer talked to Filmfare and reminisced the time when he and Deepika were trying to grow their relationship. He recalled how they both won over the bad phase and let their love shine over the years. The actor said, “When I look back, six months into it I was pretty much emotionally invested in us. After that, it was when do we get married? I was never unsure about him. Of course, in a six-year-long relationship, you go through your ups and downs but we never broke up”. He added, “There was no major fight or saying let’s take time off and figure this out. We’ve fought; we’ve had our ups and downs. But we stuck through all of that…”. In his previous interviews as well, Ranveer has been quite comfortable in explaining how he always knew Deepika was the girl for him. He even went on to say that he was sure the actress was the one going to be the mother of his kids. Even Deepika is full of praises for Ranveer and her statements about the actor speak of nothing but love, in its every genuine form. In her latest interview with Pinkvilla, she mentioned how everyone around them, including Ranveer’s parents and friends, already knew that she was the perfect woman for him. She also revealed that one moment when the cupid struck her and Ranveer. 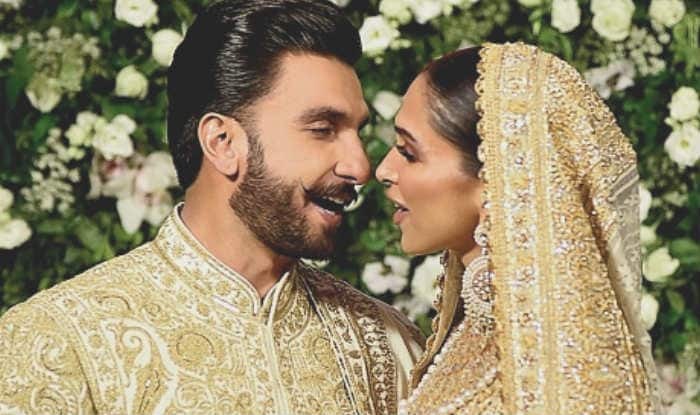 She said on Famously Filmfare, “Sir (Sanjay Leela Bhansali) called us over for lunch and we were eating and apparently there was a piece of crab stuck in my tooth and he wanted to make me awkward and he said, ‘oh there’s a crab stuck in your mouth’ and I said, ‘Then take it out’. That moment all three of us won’t forget”.